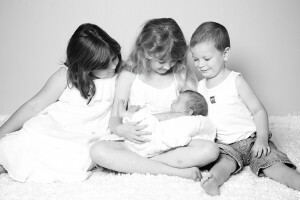 Janine made each individual child comfortable and happy at the nursery sitting, her relaxed manner and fun personality made the children feel at ease which resulted in gorgeous pictures with varied poses. Janine is patient with all the different ages and offers a very professional service. 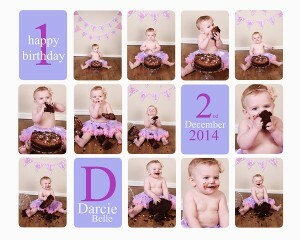 After getting amazing photographs with my son for his first birthday ‘cake smash’ we decided that we would do the same for my daughter! She’s a very different child to our outgoing adventurous son so I was a little worried that Janine wouldn’t get any good shots but yet again I wasn’t disappointed. After her initial reluctance to even sit on her own Janine encouraged her to sit, smile, and eat cake and got some amazing shots! Would definitely recommend to anyone wanting something a little different to commemorate little ones first birthday. The only thing I had to worry about after was which pictures to choose!!! 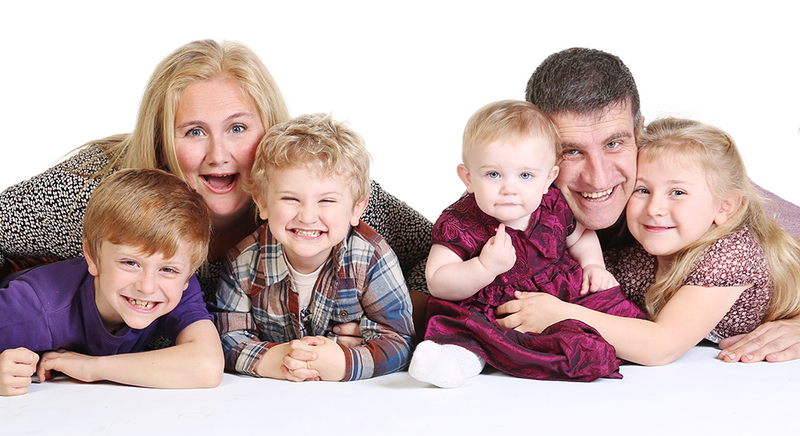 As a large family we have always found getting a photograph of all of us was a difficult if not an impossible task! 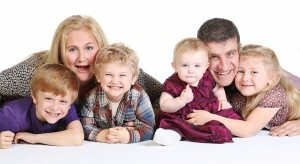 Children don’t like to sit still and be clicked at so Janine decides they don’t have to! They sat, they stood, they danced, they jumped and made the most amazing memories for us in photographs! Would always recommend Janine just for the amazing rapport she has with the children alone, the photographs are an amazing extra! We couldn’t of asked for a more patient, adaptable and kid-friendly photographer for our first family of 6 photo, our oldest son had complex additional needs and despite this Janine worked around what he could and couldn’t do, Janine was also a whiz at getting baby Samuel to sleep long enough for his newborn photos! Recommend without any hesitation at all!